You are here: Home / blog / Stop Searching for Your Paid Ads on Google! I am writing this blog because I offer Pay Per Click (PPC) services. Too many folks don’t understand it, and that’s okay, that’s why you hire someone to do PPC management for you (also known as search engine marketing (SEM)) so you don’t throw money out the window. Anyways, I had a conversation with a client recently about this very issue and figured, it couldn’t hurt to have this ‘convo’.. right here. Even if you don’t currently have a PPC campaign, you might need it some day, might try to do it yourself or have someone (like me) manage it for you.. you will NEED to know this. Pay Per Click ads are the ones that show up on the Google search engine results page (SERP) with a little sponsored ad icon or an ad link. There are usually 3 ads at the top of the SERP, several along the right hand side and/or a few at the bottom. The results in the middle are the organic results. Those, are free, but don’t get there without any effort. There are 10 paid ads and 10 organic results as well as Google Map listings as well. The basics with PPC is that your listing shows up when someone types in a keyword phrase that matches the keywords you have in your PPC campaign. Should someone read your ads and be more interested, they will click the headline (or extensions) which will drive them to your website. When someone clicks on your ad, you pay for that quick. 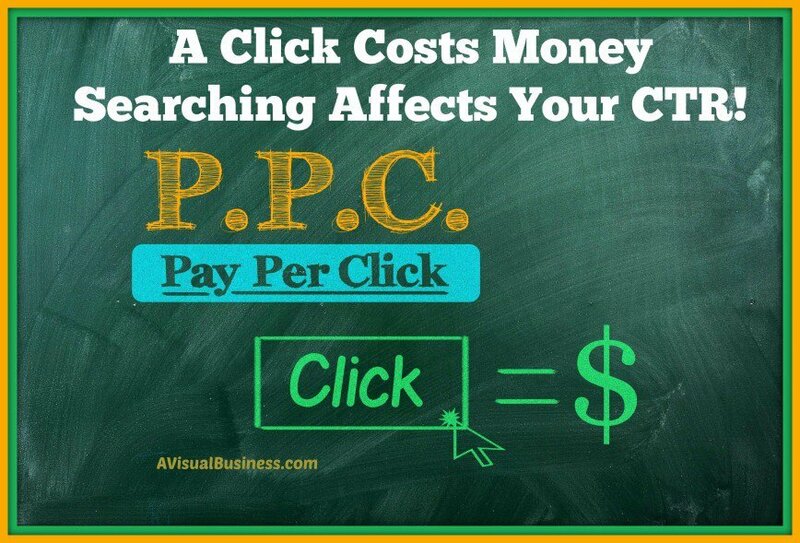 The cost of the click will vary based on a number of factors, but essentially based on the keyword, in an auction format. I have various other PPC blogs within this blog, so be sure to check them out if you need more information, or hey, contact me and I’ll be happy to set yours up and manage them. You should never ever click on your ad because just like I mentioned above it costs you money. You should never SEARCH for your ad. while you think, hey, I won’t click on it, I’m not that stupid… true, but did you know that searching for it can hurt you too? Oh, no, they say, I didn’t. Yep. When you do a search you get results that show up; these are called Impressions. It will be called as such whether you look at it or not as it is in within View and thus it is an impression. An impression can be above or below the fold (internet term for what shows up on your computer without scrolling) so you may see it or you may not see it but because it is listed on that page it is considered an impression. When you click on the ad it is called a click and when it’s in view it is called an impression. The click-through rate is determined by taking the clicks divided by the number of impressions which gives you the CTR. So if you did a hundred searches for which your ad showed up, that would be 100 impressions. Clearly, you wouldn’t click on it because you didn’t want to pay for your own clicking… CTR… ZERO, ZILCH, NOT HELPING YOU. Google sees this is as not enough interest to click on it. Obviously you, as the business owner, ARE interested but you are smart enough NOT to pay for your own click. Duh, right? I know… but be sure you aren’t searching either. When I set up a PPC campaign for clients… I try to instill these points, but sometimes they don’t understand. I get it… that IS why you hired me, right? So, the increased importance of why this blog is essential… so you are welcome! Another thing to note is the transparency of your campaign. All of my clients have access to their own campaigns and can look at their ads, their keywords, their ad groups or whatever, at any time. I have nothing to hide, further, I send a report at the end of the month which shows their analytics with their Adwords campaign which shows how the month went. If you want to see how your ads look, contact your PPC manager and have them show you your ads or try out the Google Preview Tool. The PPC manager’s job is to optimize and improve upon the well working ads. This is like AB testing. This is something that’s always being done, creating new keywords, creating new negative keywords, creating new ads, and optimizing the campaign. Something else that typically concerns me or folks that have SEM managers running ads is IF their money being spent on the ads. 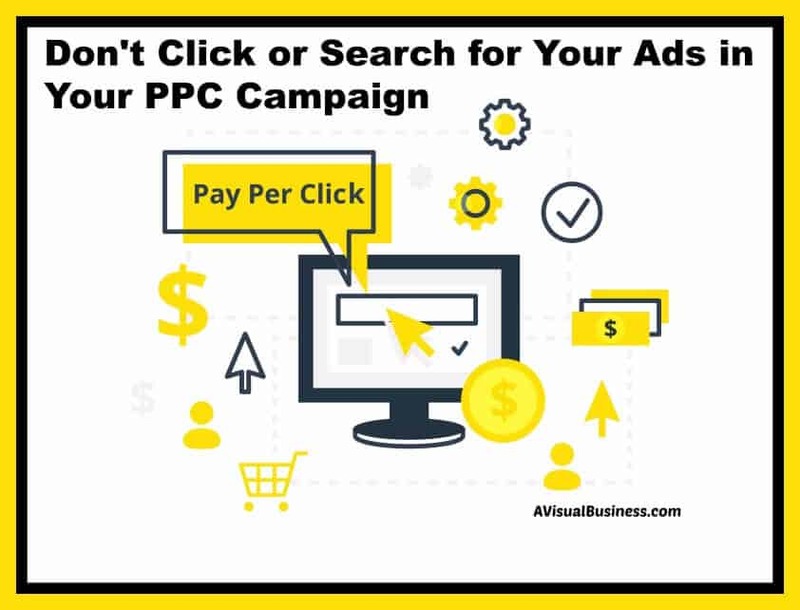 With having access to your campaigns and/or details of your campaign, this can greatly reduce the skepticism of PPC campaigns. Feel free to contact me if you have any questions or want me to review your campaigns. Impressions are your visibility in the search engine results page whether you look at it, click on it or just see it. clicks are just that, if someone clicks on it. By the way, don’t worry about having your competitor click on your ads, Google knows, seriously competitors, did you think you could do that and get away with it. Wrong! If you do have any questions, comments, or concerns or want to see what your ads look like, contact me or your search engine marketing manager and have them share with you what your campaign looks like. This is really helpful, Kristen. I’ve done PPC before, and was never sure it actually drove business to my editorial site. It’s pretty complicated, as you mentioned, so I haven’t been doing those for a while! But often, I have a nagging sense that I should be. Hm! Need to think about this. The article are great on the click through and tips what to so is imperative to making our buissness at efficient Levels. Thanks for the great tips and information that is so important. I may have used a google credit years ago but didn’t know not to click on my own ad. Thanks for the info. Been doing FB ads so may not do google ad. I think FB ads works best for you Roz.. knowing what you do. Good choice. Wow, it’s such a confusing world out there and I can see where people would get mixed up on this point. If I ever get to the stage where I want to set up paid ads I will definitely hire someone to help me. Great information. I have done PPC advertising for clients as well as for myself. It is a needed service especially for small business owners. They don’t have the time or energy to figure it out. Good luck with this service. I will share it with my small business clients. Sounds good Sabrina and thank you. I’m kind of shocked that you offer PPC as an Admin Services Co, but hey, ya never know. Truthfully I would probably be one of those that would search and screw it all up….but know that I know…you make me smarter every day. Thanks! Great post, Kristen. It’s amazing that they charge for ‘impressions,’ too. Wouldn’t it be nice if I could charge a few pennies every time someone looked at my website?! When it’s time for me to do this for my new site, I’m just going to call you to take care of it. I’d like to know how to do it, but I want to do it well and my expertise is way down here in this area and yours is way up there. I’d be a fool not to call you. You are right Jennifer, you’d be a fool. LOL The thing Google advertises is that anyone can do it… and that is true… but only those who know what they are doing can do it WELL. This is great because it is so confusing. There is a temptation to search and click on your own ad for sure. At times though, you got to trust the system. Kristen. I love the way you write! Very whimsical but SO informative. I did not know this about the searches on Google. It makes sense now that you explain it. I would have been one of those creating impressions.. and probably clicks. This is so important and good to know Kristen! Thanks for sharing your expertise on PPC! If I ever want to do it I know who to call to take care of it for me 🙂 Great share! You are so right Joan and thank you. I’m always learning something new from your Kristen. I haven’t reached the point yet of doing PPC ads and would have never known about “Impressions” counting as well. Will have to consult with you further when I get ready to some online adverts. Why thank you Joyce, glad to hear you see the value and my value. Not everyone needs it Kathy, or would be good candidates, depends upon the industry. And thank you! Okay….I was aware that I should not click on my own ads; however, did not know that I did not even want its impression before me. Thanks for the information! That’s right Rachel.. while we don’t think it counts against us.. having the impression and not clicking is like telling Google that they provided info that wasn’t valuable. Great info, as always. I knew about clicking on the ad, but not the searching piece. Not that I have the time to do that! But it’s great information to have. Thanks!